Local flyweights collide again at Shock n Awe 29! When the dust settled after Shock n Awe 27 there was one fight that ended a draw. 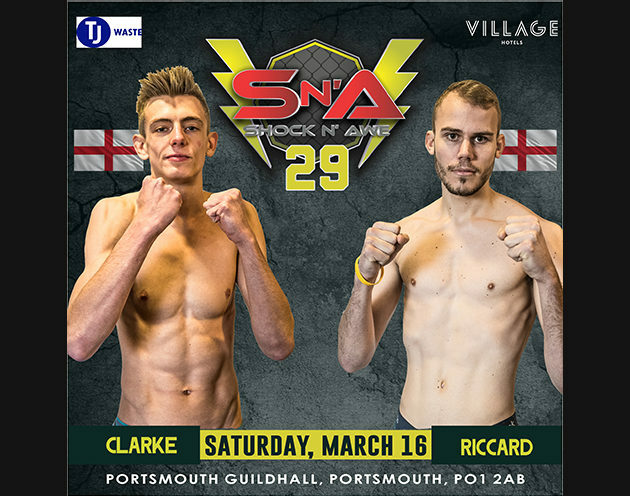 Both Billy Clarke and Charlie Riccard fought their hearts out and their fight of the night performances did not go unnoticed (see the fight below). Although both camps believed they should have taken the victory that night on reflection a draw was a fair result. Now we get another chance to see this fight again and with both fighters looking much improved from previous bouts it could be another incredible spectacle. Can the submission game of Billy Clarke give him the win or will Charlie Riccard’s top pressure be enough to see him take the victory.